Probably caught fire 20 to 30 years ago, judging by the deterioration since then. In fact, it might be a stripped one that was dumped and torched on the spot. 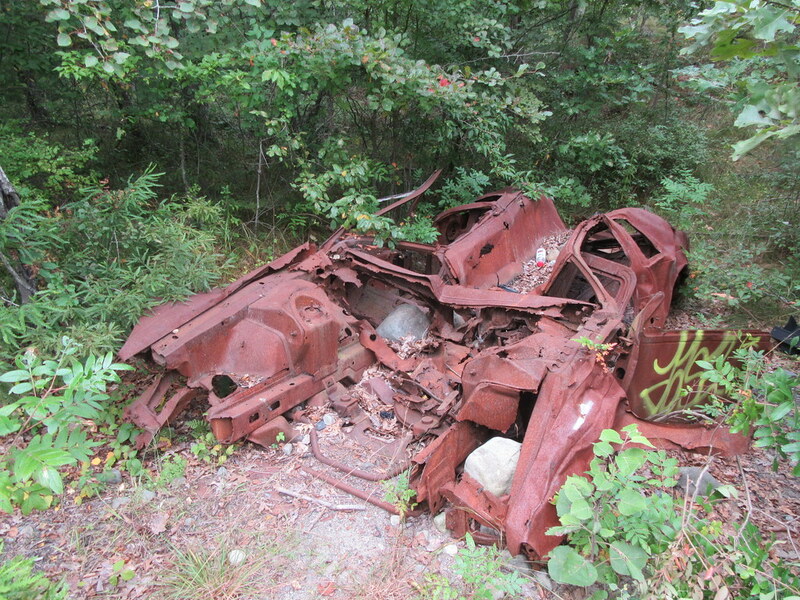 This isn't one of the cars still on Mt St Helens, is it? #3, Too new. This appears to be a 1983+ Fox body. #4, Ah, wonder if the caved in roof was from a tree or just a long line of people jumping up and down on it, little by little. 1989 or newer based on quarter window shape. 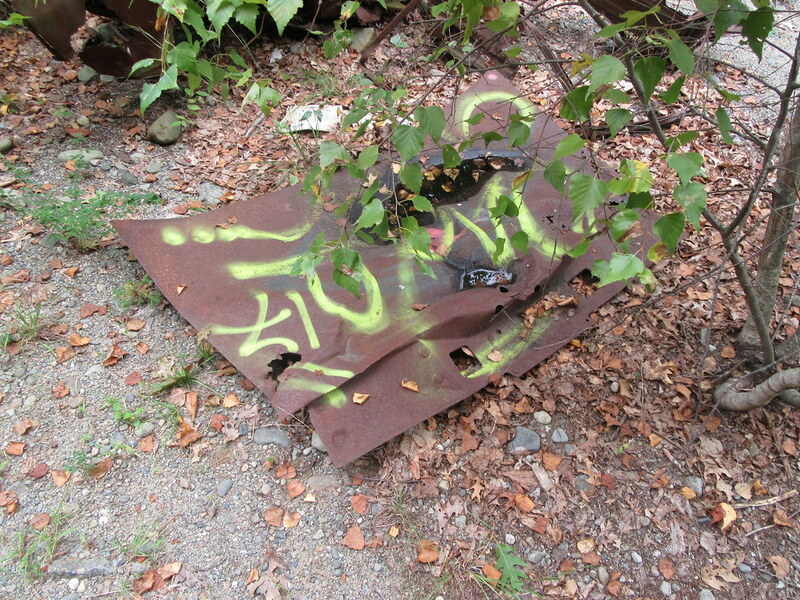 #5, Probably just severe oxidation making the vehicle's structure collapse. I've seen that on other old burnt wrecks, too.